I have been teaching clarinet, saxophone and flute with the Essex Marching Corps since 2013 and have been teaching both privately since 2012 and currently serve as the Teacher of Woodwind at James Wolfe Primary School with Centre for the Deaf. I am happy to help students through the ABRSM grade system or just generally improve their abilities and enjoyment on their chosen instrument. I aim to create a friendly and enjoyable atmosphere in each of my lessons, whether that is at your home or mine as I feel it is always important for the student to feel comfortable. 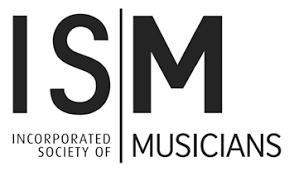 I am fully DBS checked (Enhanced), a member of the Incorporated Society of Musicians (ISM) and I am a registered private teacher for ISM. Instrument hire for a monthly fee is available subject to availability. Please do contact me for further information. Clarinet, bass clarinet, alto, tenor and baritone saxophone, flute, piano and music theory. We would wholeheartedly recommend Louise to anyone looking for a clarinet teacher, we thank our lucky stars every day for having her. 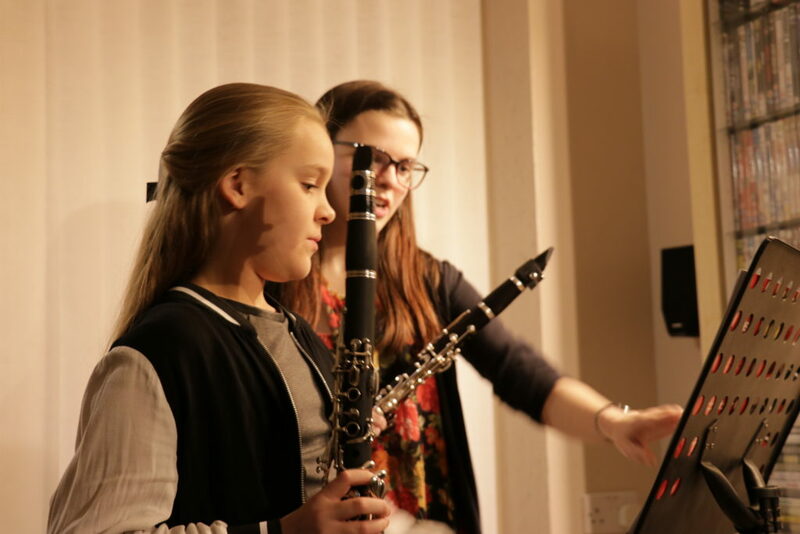 My daughter is an anxious girl with SEN needs who finds it hard to build connections with adults however she really enjoys her lessons with Louise and she has progressed quickly with the clarinet, beyond her own expectations. Louise adapts her lessons to the needs, ability, interests & commitments of her students. Louise’s ability to adapt her style to her students makes her outstanding amongst any other music teachers we have used in the past. Having learnt piano with Louise for over two years, I have gone from having extremely limited dexterity to being able to play piano at a grade-seven level. My fast progress in a relatively short space of time is, without a doubt, down to Louise and her welcoming teaching-style and brilliant lessons, where she encourages me to unlock my full potential. She is completely adaptable to her students and tailors lessons to fit around my busy sixth form schedule. Louise is incredibly flexible with her teaching style and her incredible performing talent and musical ability, combined with her vast knowledge of music theory and history, is evident in the advice she gives when teaching new skills and techniques. Her enormous repertoire of credentials and achievements would not have been possible without her own dedication and commitment to music; something which she instills on all her students. I owe endless gratitude to Louise, and recommend her unreservedly to anyone wishing to learn an instrument. My son has been taught clarinet by Louise for about a year and half now and I have found her very professional in the way she teaches and communicates with me and my son. She will breakdown things or find/search for ways to adapt to help him understand complicated music and adjust things for his ability. Louise encourages and pushes my son which has helped him to achieve high levels in his clarinet playing. She keeps track of lessons and what has been given to practice at home and plans lessons in advance so it really feels like she gives me value for time. Nathan wouldn’t go anywhere else he enjoys his lessons and feels comfortable with Louise, also practices as would never want to let her down as the respect he has for her is very high. My son is currently grade 5 going for grade 6 and she pushes him but never to a level that is beyond his reach and his confidence in performing and communicating with pianist etc has come on massively since being taught by Louise. 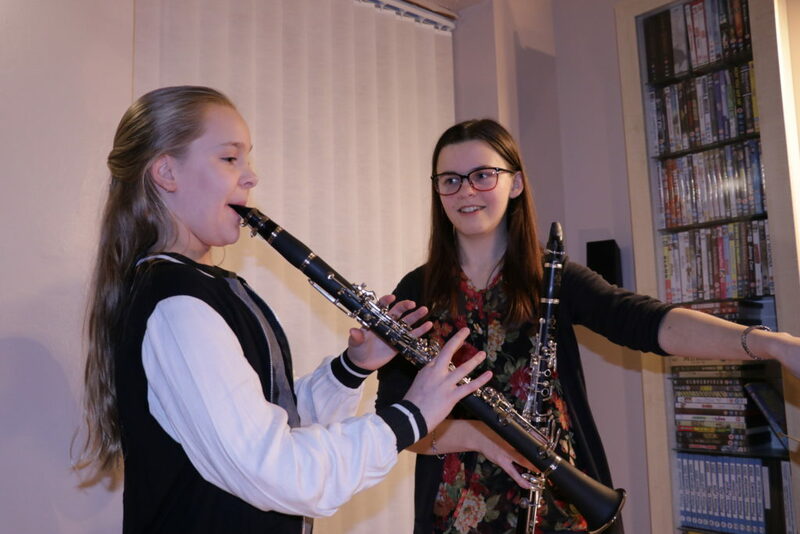 Louise’s lessons have increased my confidence; her encouragement has provided me with the assurance necessary for studying music, as well as helping me with my self-development. Her tailored lessons have benefitted me greatly, enabling me to practice with ease and security, knowing the techniques she recommends genuinely work for me. Her lessons have also broadened my musical understanding, as we sometimes explore musical context and its effects on musicality. Ever since I began my lessons in 2015, I have developed a profound understanding of music that I otherwise would not have had, and for that, I am grateful.